This clientside is deprecated and thus no longer supported. 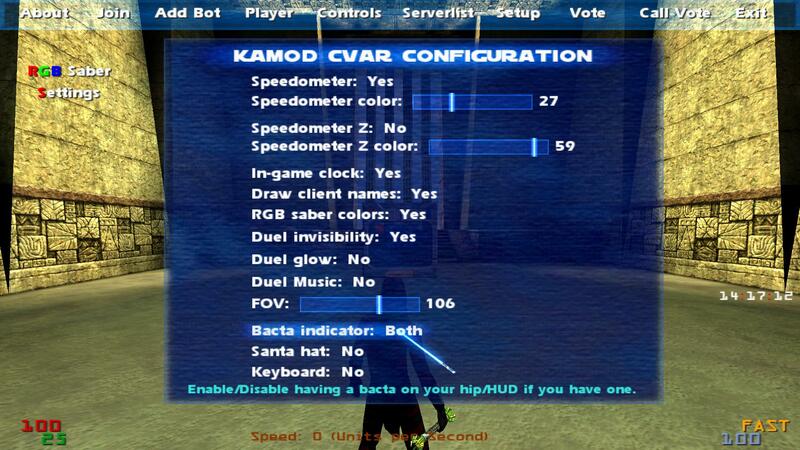 Henceforth we will only support the UnityMod clientside, which serves as an official replacement to the old KaMod. The now "old" version of the clientside had a few known issues, which I have spent some time fixing. There's still some things left to finish before the clientside is fully release ready (Mainly some duel invisibility related things), and I am also going to improve on the UI and have it integrated with JK2MV's "Mod options" menu. While there is still some minor things yet to be completed, I feel people have waited long enough for their upgrade since the last release. Duel invisibility, with the option of being enhanced by servers that supports it, e.g. DS-Online, KaMod, etc. Custom hilt selector, which works on any server now, like the RGB saber colours. Increase FOV up to 160. Increased amount of skins visible in the skin selector. Effects to enhance the serverside "Terminator powers". Command to see a list of clients and their clientnumbers, even on servers without such command. Being able to see the names of the players over their heads if they're in your field of vision. Most features currently work on any server, while others only work on servers that supports them, e.g. KaMod servers. You can read more about that in the documentation. Most features can be enabled/disabled with a simple click in the new UI. Nerevar, for his "bacta on hip", "santa hats", "in-game serverlist", and for his "Draw client names" function, which I used as a base for my own. Fly3r, for his beautiful HQ chat icon, as well as his icons for the Terminator powers. Azymn, for allowing me to use parts of his Force Mod II to enhance the Terminator command. Tchouky, for his custom hilt functionality. Daggolin, for having taught me modding, his RGB saber system, duel invisibility, speedometer, and for the huge amount of help he have provided me with in the past few years. Boothand, for the design he made for the "Optic Radar" / Terminator binoculars. Tr!force, for his "Mini Keyboard Display". Eternal, for his jetpack related code, which I’ve used as base for my own. 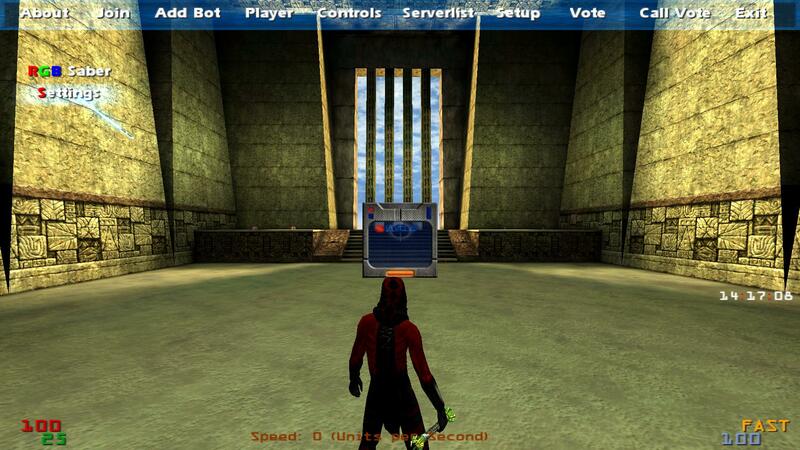 - Server owners can not limit the FOV of the players to 97 using the previously unused dmflags 16. 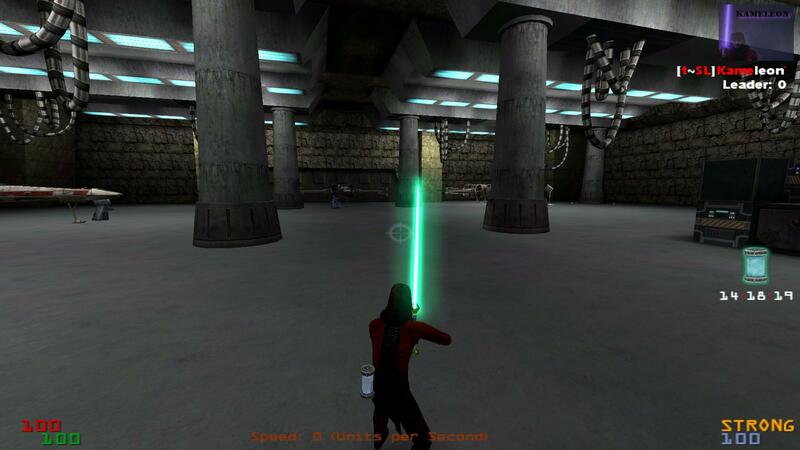 - Added an improved "Enhanced Duel Invisibility" system, for servers that supports it, making duels far more enjoyable. - Custom hilts now work on all servers, while still supporting players who still use DS-Online. - Removed cheat protection on the cg_thirdPersonRange and cg_thirdPersonVertOffset cVars. 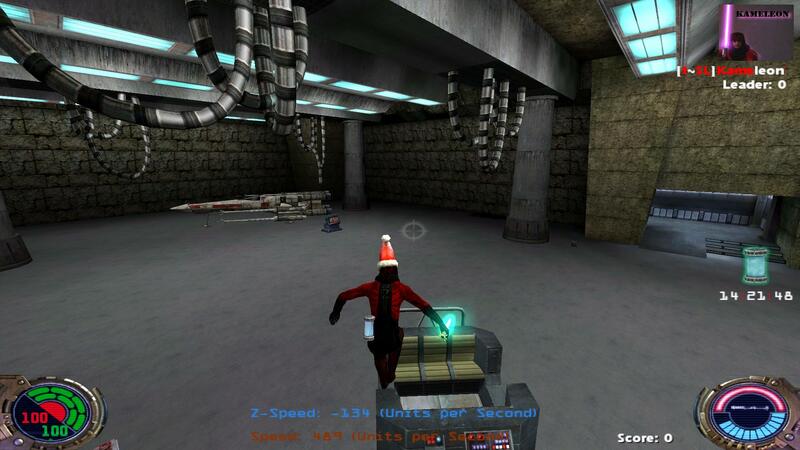 - Fixed santa hats and jetpack models showing on the person you are spectating while in first person, while still making them show on players you are not specating. 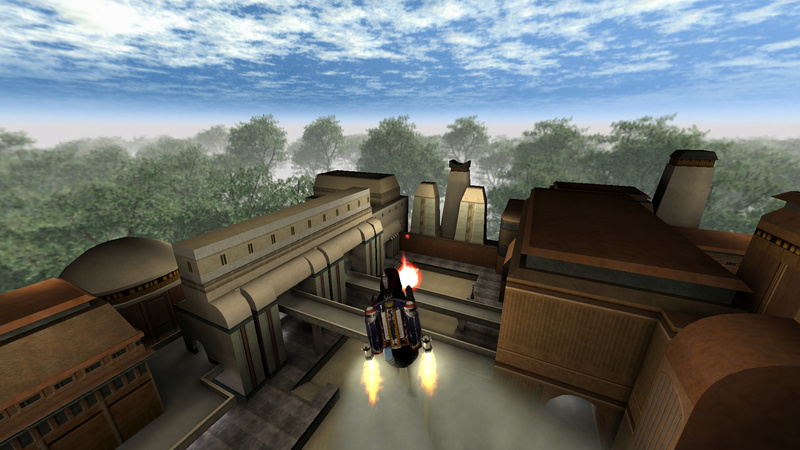 - Added new Jetpack code and effects, based on Eternal's jetpack. 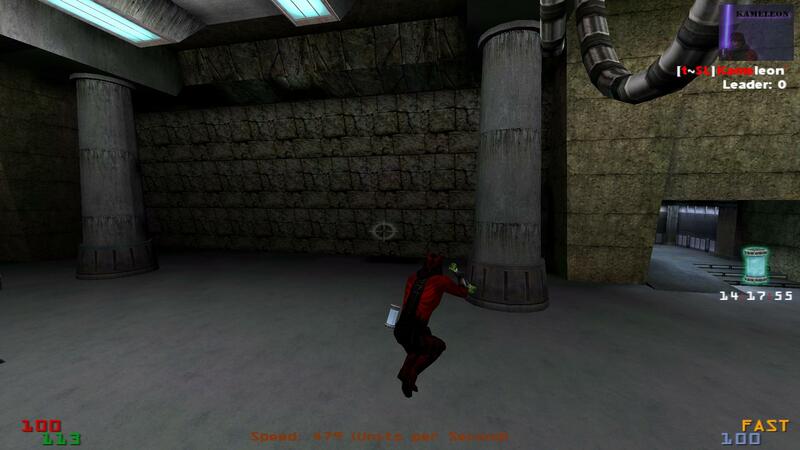 - As a Terminator you will now have a jetpack on your back. - Fixed the "Floating Santa Hats" bug. - Implemented Tr!force's "Mini Keyboard Display". - Removed some shaders on the Optic Radar, and made it use a new beautiful texture by Boothand! - Added the kamodinfo client command. - If the bacta cVar is enabled, then you will now also see a small bacta icon on your HUD. Especially useful if you play as e.g. Reelo, as the bacta model on the hip would be lost in all of his ... Fluffyness. - Fixed a positioning issue with the santa hat and bacta models. - Added Fly3r's HQ chat icon. 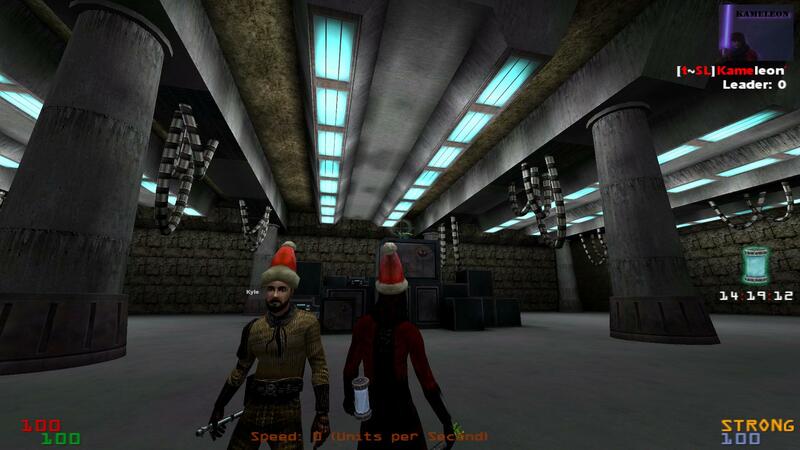 - Implemented Nerevar's "Bacta on hip", and "Santa hat" feature from HaX. - Added a UI that allows you to enable/disable/increase/decrease the new mod cVar's, as well as FOV. 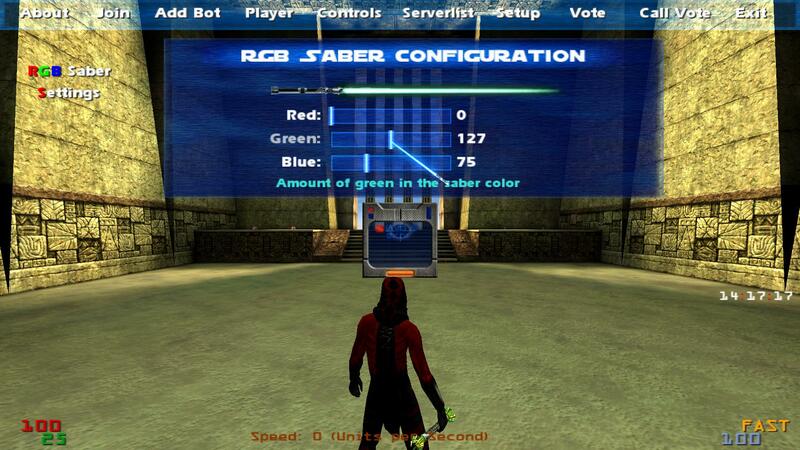 - Added a UI for the RGB saber colours. 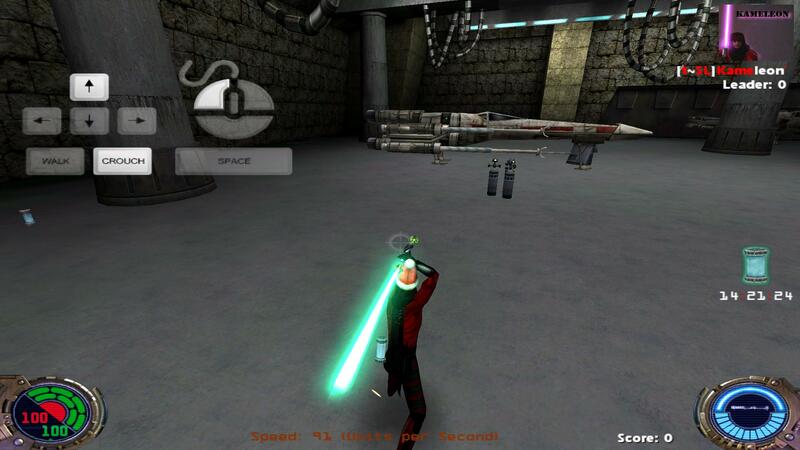 - Added the custom hilt selector to the Player menu. - You can now see more skins in the skin selector. - Added a function based on Nerevar's "Draw client names" method from CamMod. My changes makes it work with the invisible duel system, so that if you are in a private match it will only draw the name of your opponent. It also doesn't trace people who are using mindtrick, or e.g. two other players who are in a duel, due to the way the duel invisibility works. - Implemented Tchouky's custom hilt system. - Removed the FOV restriction for third person, which capped it at 97. You can now increase it up to 160. 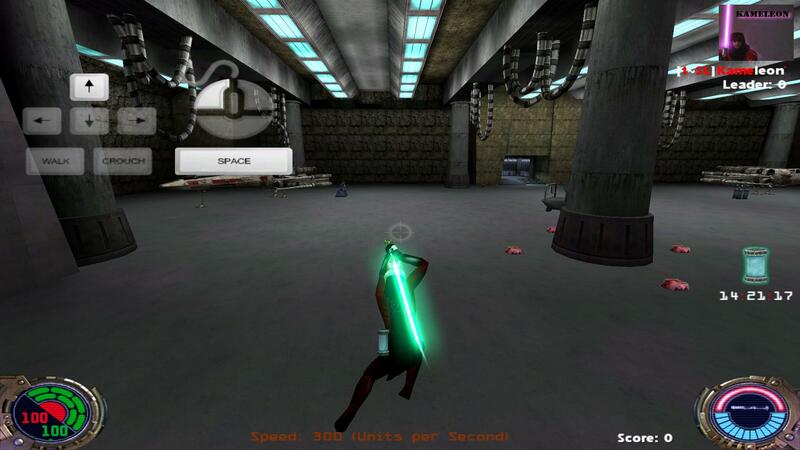 - Implemented Daggolin's RGB Saber system. - Implemented Daggolin's "Units per Second" speedometer. - Implemented Daggolin's duel invisibility system, with a small addition of my own. - Made it possible to disable the duel background music. Especially helpful to avoid the music from looping on each respawn if you are using the private FFA mode. - Made it possible to disable duel glow. - Implemented Daggolin's client list command. - Added an in-game clock. - Added effects, icons, and shaders for the terminator powers, which are mostly based on Azymn's Force Mod II code, though the new icons were made by Fly3r. Last edited by Kevin on 20 Mar 2019, 11:50, edited 3 times in total. Is nice to see my mini-keyboard here ^^ this clientside works on all servers? Or only KaMod servers? Tr!Force wrote: Is nice to see my mini-keyboard here ^^ this clientside works on all servers? Or only KaMod servers? That's a nice feature list and I'd love to try some of them. 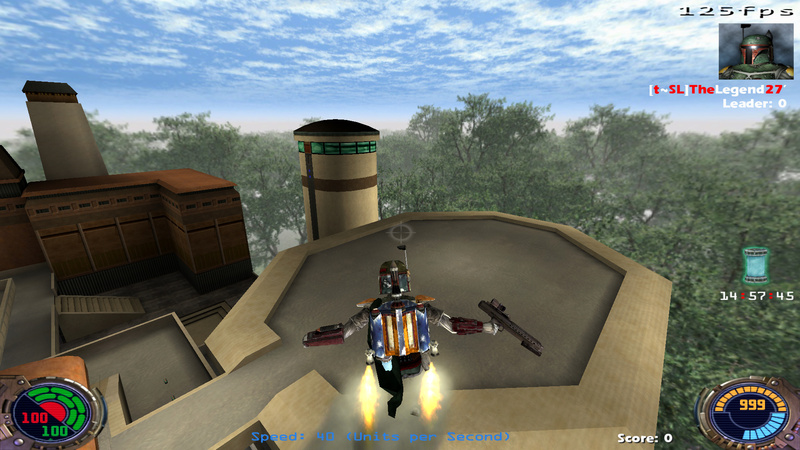 One question, to you and Tr!force: do you have a more or less precise goal with your mods? Is it creating fun environment for players, implementing every funny and impressive gimmick there is (in a positive meaning)? Coding playground? What I have in mind is that if you share similar goal then you could perhaps join your forces on this. If it's mostly coding for fun, or a single-server mod then collaboration is not worth the effort I guess. fau wrote: That's a nice feature list and I'd love to try some of them. I will not participate in the "skymod" project because I disagree with many things (lots of concepts, goals and other personal things). We talked about this with kameleon few weeks ago, but now i changed my point of view of that project, so i will not join. I am thinking about one feature, maybe it's possible to include it on this mod. For me personally it's really annoying then in server is over 20 players, but then you press tab you only see maximum 20 players. Maybe its possible to make fonts a bit smaller or something and to include up to 32 players? Last edited by Hexes on 06 Jan 2016, 14:19, edited 1 time in total. Hexes wrote: Wow, sounds really nice! For me personally it's really annoying then in server is over 20 players, but then you press tab and see player you maximum can see 20. It would require serverside modification, if you wanted actual scores (unless you can hack your way around, you never know). Also check out scoresUp and scoresDown commands. Was wondering what they do but I'm too busy with other things atm. fau wrote: It would require serverside modification, if you wanted actual scores (unless you can hack your way around, you never know). Also check out scoresUp and scoresDown commands. Was wondering what they do but I'm too busy with other things atm. especially because everything is documented as it should be. it only updates on pressing space for me. - The mini keyboard is one of the few features that require serverside support, and is currently only supported by KaMod servers (And JK+ servers), so if you go to my server and test it out, then it should work just fine As Tr!force mention, it is so you can also see the movements of someone you spectate, so that you can use it to teach people how to strafe, dfa, etc. Tr!Force wrote: @Kameleon, u forgot to say the minikeyboard doesnt work with clientside only. Last edited by Tr!Force on 06 Jan 2016, 17:55, edited 1 time in total. you should be able to get the keys for yourself in any case. the cgame handles stuff like +moveup etc. ouned wrote: you should be able to get the keys for yourself in any case. the cgame handles stuff like +moveup etc. but if u change, u will not get the others "spectated" players keys pressed. is why i mixed with serverside to get "yourself" keyboard and "spectated" keyboard. maybe u can create a cg_keyboard "2" (or get work only if is not in spectator) to get work the "yourself keyboard" in any server. i will take a look to mix my two versions in one. Great work man. Looks awesome. 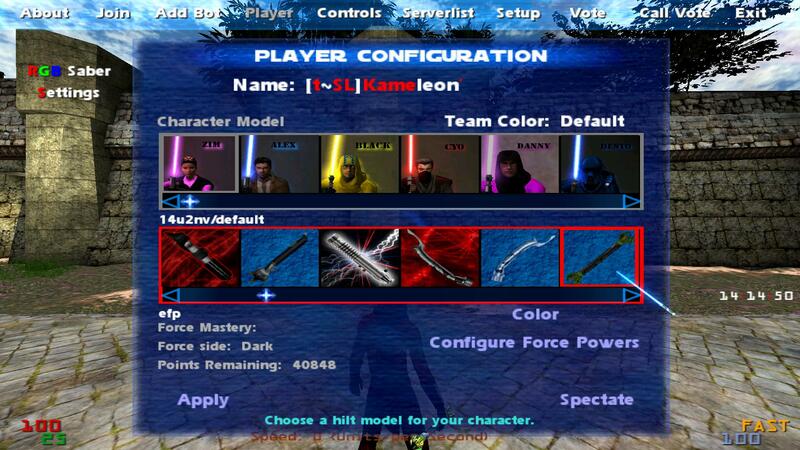 I like being able to select the sabers and rgb saber colors. Very nice. lil_binger wrote: Great work man. Looks awesome. 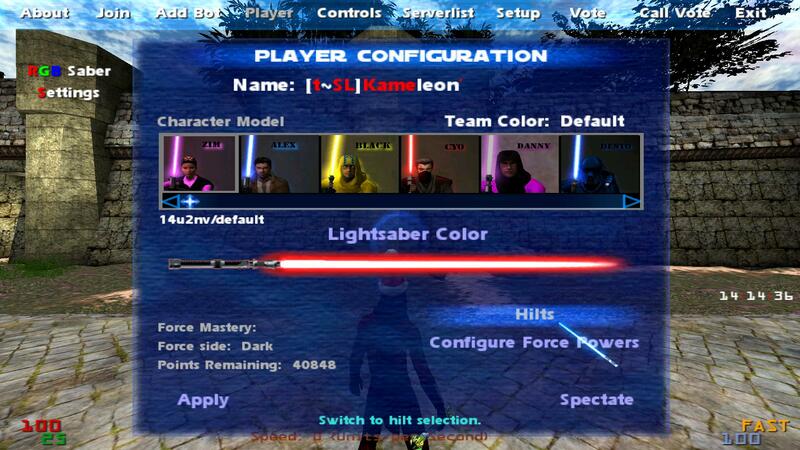 I like being able to select the sabers and rgb saber colors. Very nice. Uploaded a new version with an option for servers to limit the FOV to 97 if they choose to do so.